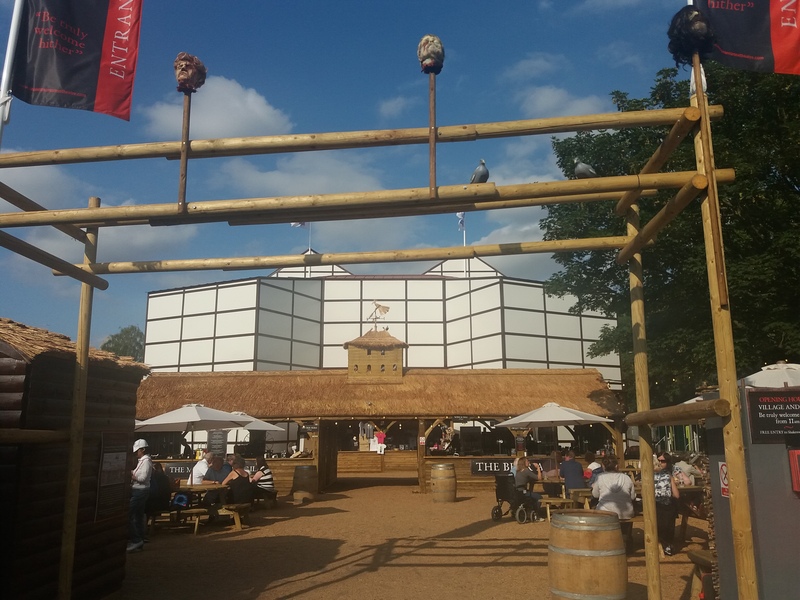 My trip to the pop-up Shakespearean theatre in York arrived. What an experience. Even if you are a Shakespeare novice like me if you get the chance, go – it’s worth it. The venue is inspired by the London Rose Playhouse and though the structure is made of scaffolding instead of wood, this is soon forgotten when the show starts. The atmosphere is thrilling and intimate with the superb cast only metres away and they mingle with the public in the stalls as they tell the story. You feel inclusive to the show rather than just a spectator. I could imagine the original theatre full of people in medieval dress in awe with the performance, captivated by Macbeth’s speeches, and become thrilled at the violence and gore which ensued following the witches prophecies. As I confessed here, I am a stranger to Shakespeare and never understood his appeal. I may not have fully understood who was who and what was going on but now I get it. By the second part, I had that tingle of a light bulb moment when something clicks. His words are poetry and alive with passion and feeling. I longed to have the script to follow and then watch it all again with a deeper understanding. It made me want more and learn. I never thought I would say it but if given the opportunity I would like to study Shakespeare. The costumes are amazing – my daughter is now planning her next cosplay outfit on them. The shows are running until September. If my money box and the diary allows, ticketsto see Midsummer Night’s Dream are being booked.